JRDG have just issued a very interesting new product: the Power Storage Unit, called PSU in short. Developed primarily to feed the Corus (and propell this preamp to absolute reference status in the process), the PSU can also power two additional components, for example the Aeris. As I learned time and again, the power supply is any component’s achilles heel. While the Aeris’ external switching power supply is anything but an afterthought, the PSU is still likely to really transform the Aeris’ performance to new levels. I am basing this on the incredible results obtained with the new PSU when feeding the Corus preamp that is normally fed by a switching power supply that is very similar to the one used for the Corus. The PSU is not a normal linear or switched power supply, nor is it a Battery power supply. The PSU is a very special new kind of external power supply that employs a large bank of ultra capacitors. The big advantage of this is that the PSU can supply lots of clean power instantly, and this is clearly audible in the absence of battery-typical effects that normally mar the otherwise clean sound, such as rounded off transients and a subjective slowing of pace. There is much more to say about the technical aspects and the effect on the Corus preamp, but this is already covered in the Corus + PSU review so please head over there for more info. 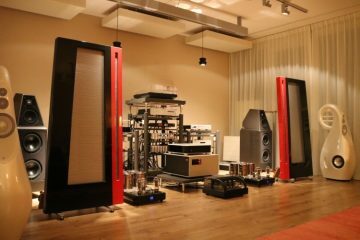 Unfortunately I have sold my Aeris a while ago but my friend Niels still has his Aeris and was nice enough to come over with it for an evening of listening. Just like me, he was very excited to hear what the PSU treatment would do for the Aeris. To assess the differences, we first listened to the Aeris au naturel, with its own switched power supply, and I used a variety of powercords to make sure I obtained the maximum from it. 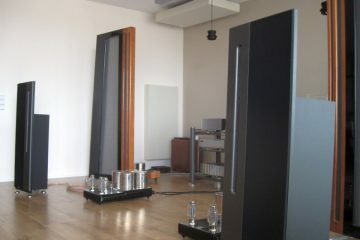 What worked well in the past was either the latest version Harmonic Technology Pro ACII (to obtain a more relaxed, smooth and fluid sound) or a Furutech Apha3 (for a more sonorous timbre and to maximise dynamics and slam). A third cable was also tried: the Cardas Clear Beyond, which yielded more or less the best of the two aforementioned cables. Interlink used for the most part was a Cardas Clear XLR but the Cardas Hexlink Golden 5C XLR was also listened to briefly because that was the cable I used with my Aeris. Because Niels lives nearby and uses the Aeris on a day to day basis, it only needed a short warm up period. I gave it at least 2 hours and then we listened to a carefully pre-selected varied playlist containing various artists. Just as with the Corus, it only takes minutes (I would even say seconds) to hear the huge improvement. In case anyone is afraid that the Aeris’ super-solid bass, or its lively performance, might suffer when fed from the PSU: you need not worry. All the Aeris’ inherent power is present entirely undiminished and the Aeris remains every bit the incredibly upbeat and energetic performer. Especially noteworthy is the improvement in soundstaging. 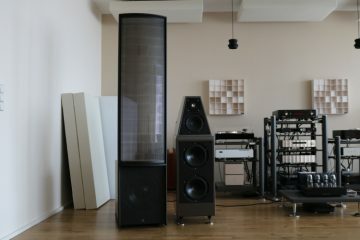 The standard Aeris has a tendency to project the whole performance forward as whole, rather than having individual instruments reach their own relative front to back positions. 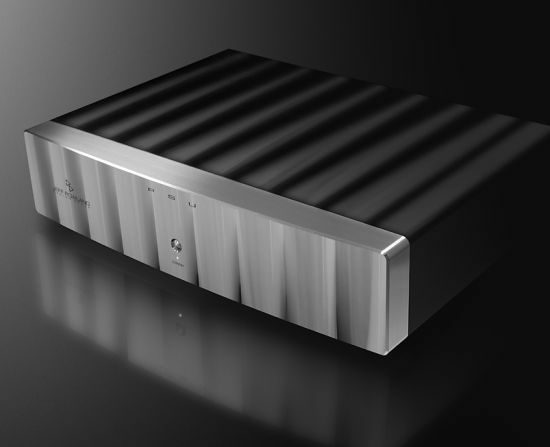 This certainly plays a role in the DAC’s powerful delivery and makes for an exciting sound, but with my current system I have heard more 3D soundstaging and clearer layering from other DACs, such as the Wadia 521. With the Aeris + PSU, there is now more distinct front to back layering and better definition of individual instruments within the stage. While not reaching Wadia soundstaging level, separate instruments are now more fleshed out and come across as more human and real. 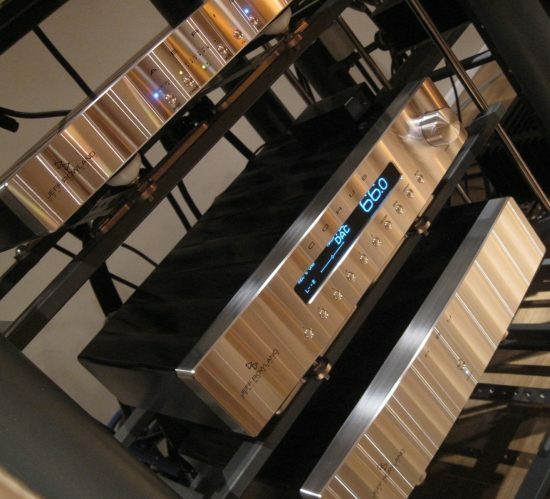 The Wadia 521 has a relaxed and free-flowing nature which by comparison makes the Aeris sound a bit overly pushy at times, but this will be a highly system dependent aspect, and in other circumstances this property will translate to an impressive presence. For example, even in standard form, the Aeris worked wonders with the Magnepan MG3.6R speakers that I owned previously, when one of the Aeris’ most impressive aspects was actually its soundstaging. Resolution is an area where a huge improvement can be heard. The PSU 100% lays to rest any earlier concerns that I had concerning this area. The PSU now simply propells the Aeris all the way up there with the best. Treble has much more air and lost its slight edge, while simultaneously gaining low level detail and overall refinement, to arrive at a “Retina”-like resolution, just as happened with the Corus. There’s now incredible sharpness without the sound being edgy or sharp. While the Wadia 521 sounded more refined and more airy in the treble than the stock Aeris, the PSU seems to further pull down the noise floor, to reveal new levels of low level detail, as well as further raising the overall transparency to a really impressive level. Needless to say, the Aeris + PSU clearly has more refined treble and higher overall resolution than the Wadia. But when thinking back of other reference level DACs I used, few if any DACs will match this combination of smoothness and superbly transparent and highly resolved sound. While on the subject of Wadia, I should note that this brand normally has the upper hand in terms of bass heft and overall dynamics when compared to the large majority of other DACs. There is just an energy to this brand’s sound that is rarely matched. The Aeris (with or without PSU) however quite easily improves on the 521 (which is the best Wadia I have heard) in terms of dynamics and overall power, and the Aeris is almost as solid and powerful in the bass department. Final area of improvement that the PSU brings is in the timbre, or tonality. Without PSU the Aeris has a decidedly non-synthetic timbre already but with the PSU the tonality becomes even more natural, and more neutral, making instruments as well as voices sound acoustically very convincing. There is just not a single argument that can be raised against the PSU. It simply brings a formidable improvement across the board while introducing zero downsides. I ask of you: how often does this happen in the wonderful world of high end audio? If you own a Corus or Aeris or both, then I would strongly urge to consider adding the PSU. I can confirm totally Mr Punter’s view of expanding quality of Corus and Aeris in every aspects, by using the JRDG PSU. I drive PSU with JRDG Corus and JRDG Aeris in combination with JRDG 625 S2. Really a “paradigm-change” in HiFi-History in my opinion. Not only different but really much BETTER in every aspect. It’s great to read that not only my review inspired you to get a PSU yourself, but even better that you are also just as impressed as I am! I have enjoyed reading your excellent and informative reviews on JRDG Aeris and Corus powered by PSU. 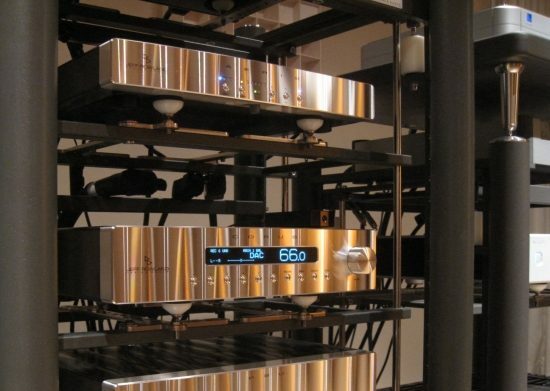 To give you brief background, I have presently in my setup, JRDG Corus Preamp powered by the all new amazing PSU, JRDG power amp 625-S2 connected with Magnaplanar MG-III speakers, Meridian CD player G-07, Goldmund Studietto turntable with linear T5 tonearm fitted with Clear Audio Talismann Cartridge and Clear Audio Basic + phonostage. I have been using Audio Research tube preamp SP-10 and power amp D-115 all these years but both had aged and were giving problems. Hence replaced with JRDG equipment. I am indeed very happy with the performance having made the right decision to buy JRDG equipment although quite pricey. Since I have the PSU, I am tempted to go in for Aeris DAC but my local dealer from whom I bought JRDG equipment is suggesting to go for MSB Analog DAC with standard power supply as it can handle DSD and is kind of future proof. While it may be a good DAC, frankly I am a bit concerned as at the time of auditioning various Power Amps MSB 201 paled miserably compared to JR 625-S2 although it is a class A amp. 2) JRDG strongly believes that BNC is far superior to USB as input for DAC. 3) which server I should go for? Again, JRDG suggests one with BNC output which I cannot really find. 4) Aeris DAC has volume control with 2 buttons. If this is connected with Corus, how does one set output level? 5) Could I use Mac-mini with iTunes supported with Bit-perfect and DSD-master software to enhance audio quality? Most of my music collection is already in iTunes library for use on other devices. I would greatly appreciate your valuable advice in this respect. Nice to hear that you are enjoying the reviews! That sounds like a great setup you have. Aeris is very good, especially with PSU, but it does not do DSD and I have heard a few DACs that offer alternate strengths, which match my taste and/or system better. One is Wadia, the 521 specifically, which has almost none of the classic Wadia dryness yet retains the typical brand’s strengths. However, it is also a classic now, and does not offer USB, nor DSD compatibility. 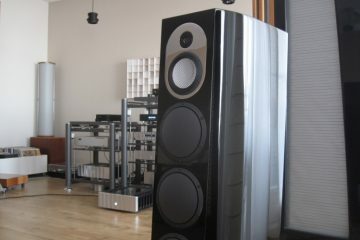 Another option would be the Bricasti M1 which I have recently added to my system. This really is the best Delta/Sigma DAC I have heard so far, and it also has USB and supports DSD. My preference however is for multibit DACs, and in that light the MSB DACs could be very interesting. However, so far I have been unable to get any MSB product in for review so I need to base this piece of advice on what I have read in magazines and online. 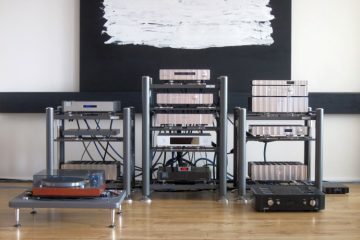 From my research I am inclined to think that one would need to go for the dearer MSB products (Platinum 4 or 5), not the Analog DAC, to really get the best that this brand has to offer. Between the Analog and the Bricasti, I would choose the latter. As for BNC/Coax/USB, I know that Jeff prefers BNC or coaxial, he even told me in person, but frankly, I think there are more ifs and buts to this than he lets on. Personally I feel that great results can be had with either BNC/Coax/USB, where BNC vs Coax makes only a very subtle difference and USB does sound markedly different. Usually USB sounds tighter and more articulate where BNC sounds a little fatter and coax a little more still. The best connections I heard were implementations of I2S and Wadia clocklink, both having separate clock and data lines, which typically creates deeper soundstages. Async USB should reap similar results, but in my experience still sounds different. Although I really like the sound of my Aurender N10 via coax to the Wadia 521, in order to be ready for the future, I would advise getting a more modern DAC. The Bricasti in particular gets frequent updates, one of which is an upcoming network card, which I think is one the most important functions these days. Aeris volume is independent from Corus volume, and their IR remotes do not interfere with each other. I would advise to leave the Aeris at maximum level at all times. This is the level one click lower than where the right hand led starts to blink. iTunes is not normally the best application for optimum sound quality, although it can be enhanced with PureVinyl or Amarra. I have no knowledge of the DSD master software you mention I’m afraid. Many thanks for your valuable input. Unfortunately, neither Bricasti nor Wadia is supported in India. Buying abroad is an option but warranty and service will remain an issue. MSB and JRDG products are distributed by a very reputed company in Mumbai. As I understand, price of Aeris and MSB Analog DAC is almost on par but other higher models of MSB are clearly very pricey and not in my range. I am in no rush to get a DAC and could wait a bit longer. Under the circumstances, I wonder what your advice would be. 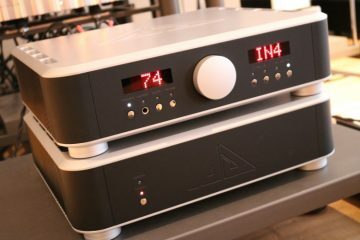 As I understand it Aeris and Analog DAC very different characters, the former I know to be very lively and a bit forward yet still fluid, the latter (according to the reviews, I have not heard it myself) apparently more rounded and relaxed. Between the two without being able to heard the Analog first I would probably choose the Aeris. A more affordable alternative might be the Exogal Comet. Hello Mr. Punter. I read with great interest your articles on JR corus with psu and Aeris with psu. I had the opportunity to compare the corus with and without the psu in my system. It was indeed a revelation. During this listening I had amps 725. Recently I went to the JR dealer and I traded the 725 for the 925. I reached another level obviously. I want to improve my source (Ayon player cd2) and I would also like to use the Tidal streaming service for usability. Please note that my speakers are newly developed Dayton Wright. I read a lot on the forums. As I already have the PSU, my decision is very geared towards Aeris dac. I want to use my ayon as transport. But, I’m careful and I’m going slowly. 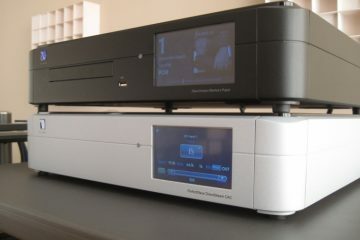 Before getting the Aeris ready soon in my system, I had the chance to listen to my home, the brand new dac streamer N-01, at the cutting edge of ESOTERIC’s technolobia. To my great surprise I preferred the system that I currently have, with my ayon as surce. I found that the N-01 was very detailed, refined, but lacked presence, warmth, reality. I absolutely do not understand this conclusion especially since I had disguised the N-01 at a dealer, with esoteric amp pre-amp and I loved it. I still do not understand.??????Mystery. Maybe there was a bad adjustment made by the store. As I already told you, I will have in the next few days trying out Aeris. My question: it dates and it does not read the DSD. The JR dealer tells me that what’s important is the music. I will need a good streamer later. My JR dealer offers me the Aurender W20. He tells me that the match is perfect. The W20 has a hard drive, but I have very little cd, unless I can download some friends’ music from a computer. I was also offered the dcs bridge much cheaper. What I’m looking for is the emotion, the presence, the feeling of the music. Hi Laurier, while the Aeris is dated, its sound is not. 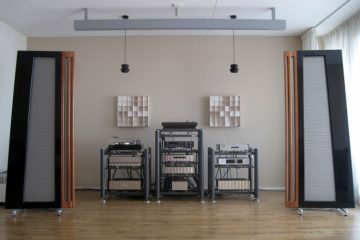 DSD compatibility seems to be all the rage today, but personally I am not moved more by it than by redbook recordings. Sure DSD can sometimes reveal more detail, but detail is not the same as emotion. Everything in audio is very much about balancing and combining, so while the N-01 is no doubt a fine machine, it has a certain sound that must match the host system. Personally I have always preferred Wadia with my various Apogee speakers but lately I prefer the Bricasti M1 which sounds more refined while retaining organic and full tonality and offering very nearly the same amount of bass slam. The M1 can be fitted with a network card (I believe for approx an extra 1000 euro) that is Roon RAAT compatible. Roon with RAAT is currently the best streaming solution, and not expensive. 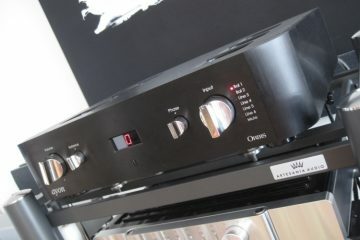 While the Aeris is very good, especially with PSU, personally and in my system (Rowlands and Duettas) I prefer the M1. I have even sold the Aurender and have the Wadia up for sale to prove this point. The best thing about the M1 is that it costs less than the Aeris, and even does DSD. Hello Mr. Punter. Thank you again for your comments. Thank you also to those who write to you and who by their questions, enlighten us all. I recently acquired Aeris, since my entire chain came from JEFF ROWLAND (925 + corus + psu). Recently, I was looking for a streamer that had the ability to rip my cd too. It was important for me to have an all in one. After several searches, and consultations, I acquired the brand new music server INNUOS SE, which has only one USB output. After my acquisition and after checking with Jeff Rowland and the dealer, I was confirmed that Jeff Rowland’s SPDIF input was playing better than the USB input. So I had to resign myself to trying a USB converter to SPDIF. I actually preferred the SPDIF entry. Obviously I am disappointed with this observation, but I must continue to improve my lot. So I’m getting ready to acquire the M2TECH EVO TWO (very complimentary reviews), combined with the SBOOSTER PSU (9volt). That’s still devices in my chain but good. So I have no choice. 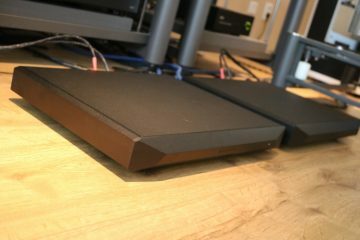 I am told that CONVERTERS are necessary because many people have non-compatible dacs and this will not affect the sound quality I will have compared to a dac that has SPDIF output. nb do you know if AURENDER will release a Streamer that will rip up shortly? Hi Laurier, Congrats on having a really outstanding system! Aeris + PSU really is something special. Indeed I know that Jeff maintains that SPDIF is a better format than USB. In practice, I feel that this is relative and dependent on the component match that is made at any time. A lot will depend on the quality and accuracy of the SPDIF source as well as the receiver. In general, you can get better imaging and stage depth by using separate clock and audio data links, compared to the muxed clock+data SPDIF signal. Asynchronous USB may approach this but does not always do. Finally, taste also comes into play, or a potential desire to compensate for a given system’s sound properties. That said I have also observed differences between the Aeris’ inputs, USB sounding tighter and arguably more precise and SPDIF sounding more fluid and relaxed but arguably less precise. In the past, I have always preferred the latter but in recent years I have come to more appreciate the former. The Innuos is no doubt a fine server but if you want to stick with the Aeris’ SPDIF input, only having USB on the server forces you to use an external converter. The best one I heard is the HiFace EVO but there are much more expensive converters available that could be even better. In any event, on every occasion where I was able to compare a direct link from a server to one that runs via an external converter, the direct link sounds better. I presume that this would be because the external converter is forced to take the server’s USB output while a built-in solution could take a more direct path from the motherboard. As can be observed when comparing a mobo’s USB output with a SOtM tx card’s USB output (installed on the same computer), there can be large differences in (perceived) USB quality. It follows that the external converter could also bring varying results depending on the quality of the USB source. To caution: a server’s SPDIF output need not be of high quality either, as an add-on card could be used inside that still takes a (potentially compromised) USB source. Also, I am aware of a DAC that simply uses a hiface board internally to attain its USB input. My point is that while it will be best to obtain a server that has a built-in SPDIF output, you need to be careful to get one that has SPDIF implemented mindfully, not as an after-thought. You may want to investigate PCI cards with SPDIF outputs for the Innuous. Not sure if the company would support this but you can always ask. I have not heard of Aurender planning on offering a ripping server and would imagine that this is not on their roadmap either. Come to think of it you may also want to investigate Antipodes. They have ripping servers with SPDIF outputs that look plain but sound really great. 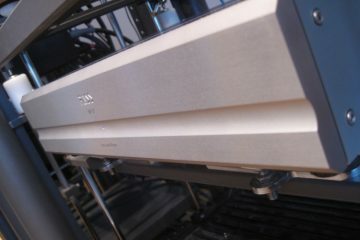 These servers’ USB outputs btw seem to combine the expected precision with a flow and involvement more typical of SPDIF. I mister punter. I heard recently that the deamon from jeff rowland could be better than my 925+corus+aeris+psu. All in one. Only one ac cord, including a dac with the last technology. Did you have chance to listen it? All this with much less money? Hi Laurier, I’ve heard the Daemon on several occasions at shows but not yet in my own system. While it always sounded good to me and I only hear positive feedback from others, I have not compared it to anything directly and so I can’t really say anything substantial about how it would compare to the 925/Corus/Aeris/PSU. I also own the Aeris/Corus with PSU and 625, with Avalon Idea Speakers. What’s your take on the Aeris + PSU with the Bricasti M1? I am a bit tempted to trade the Aeris for a M1 lately. Good question Joey. The two are not worlds apart sonically. Without PSU I definitely prefer the Bricasti but with PSU the Aeris does become really good. It’s a Rowland so it remains very slick and smooth but I think the still more natural timbre of the Bricasti combined with its more advanced functionality would seal the deal for me. I would really just try it out in your system first. Thanks for the information. Tell me Joey I have some technical questions: AMPLI (I have 925) do you close the button every time you stop listening to music or if you leave it open? Is AERIS connected to the auxillary output 1 or 2. I’m connected to the 1, but I do not understand the difference? PSU I never close the front button … and you. Is it better to close it? The volume of my aerial is set just before the light flashes. C0RUS: I do not listen to music at a high level, but the volume for my ear is between 73 and 78. And you? 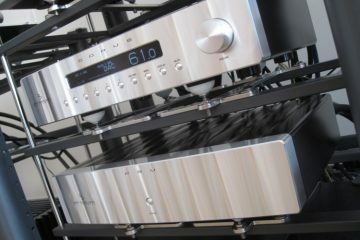 Hi Laurier, with 625 you can switch it to standby after listening using the front panel button. This will only lower the voltage to the power transistors and keep the rest of the amp on. Leaving it on it will consume a lot of energy. For the 925 this is different because it is a switching amp. In that case, you could choose to switch it off or just leave it on. Electrically, the AUX outputs on the PSU are identical. You can connect the Aeris as well as the upcoming Phono stage. 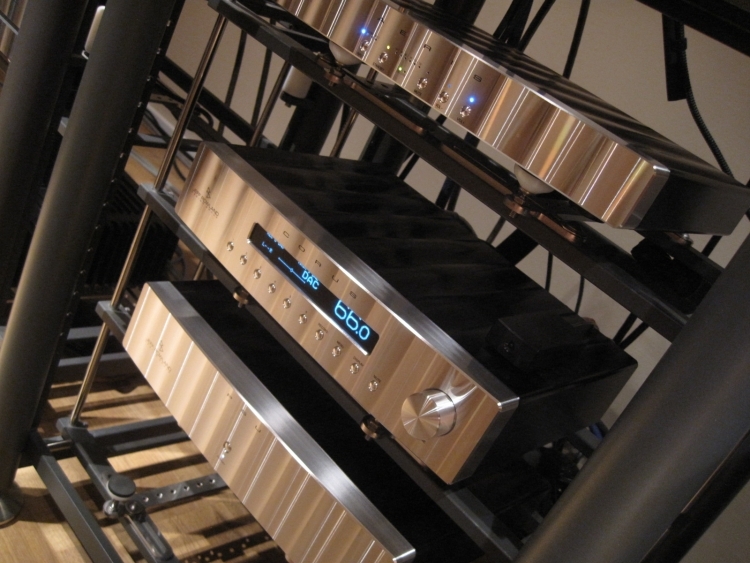 The Corus is indeed set at a higher level than some other preamps. This is no malfunction but a result of the way that its attenuator and gain stage are designed. Do also note that this is not absolute but dependent on the sensitivity of your speakers.